I’ve been working as the Head of TEL at the University of West London since March 2014. While late-August might not be a typical week of the year, the activities I was involved in are not atypical; plenty of meetings as usual. My week started, as it always does, with our departmental meeting. The TEL team sits within the Institute of Teaching, Innovation & Learning . We meet every Monday at 10 o’clock to discuss the week ahead and share anything that has come up the previous week. I like working within an educational development unit and think there are real advantages to it. Staff’s use of TEL is just one aspect of their day-to-day academic practice and working closely with staff who are focused on other aspects of their teaching practice makes a lot of sense to me. Later in the day I had a catch-up meeting with the Deputy Director of IT Services. Although nearly all of our institutional learning technologies – Blackboard, Turnitin, Poll Everywhere, PebblePad & Panopto – are externally hosted we still work closely with IT and rely heavily on systems that they are responsible for. I manage 6 staff which is a relatively small team but personnel matters take a reasonable chunk of my time. Today I carried out an appraisal for one of the newer members of the team. Actually, only one member of my team has been here longer than 20-months and I have recruited 4 staff since I started. Getting the right people in is incredibly important and it is probably the most important part of my role. I have been really pleased with the staff I have appointed so far! It has been tough though; losing experienced staff is always difficult as institutional knowledge leaves with them. and a couple of times now we have failed to recruit at the first attempt. We are looking forward to a new colleague starting in November which will bring the TEL team to full capacity for the first time since October 2013! 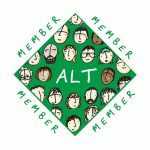 I have been actively involved in the ALT community for a number of years now; the first conference I attended was Sunderland in 2003. It was the first learning technology conference I had ever attended and I was surprised to learn that there were so many people involved in our field. I’m just coming to the end of 6-years (two 3-year terms) on ALT’s Publications Committee. Today I had what is possibly my last meeting as part of that group, meeting online with Maren Deepwell and Martin Hawksey from the ALT Office and Anne Hole, the Editor-in-Chief of this newsletter. We were discussing exciting plans for the further development of the online newsletter which is 10-years old this summer. My time on the Publications Committee has seen a lot of change. My first role, back in 2009 was to set-up the @A_L_T Twitter account and YouTube channel . More recently, our journal, Research in Learning Technology , moved to open access publishing model and then this newsletter moved to continuous publication with a significant increase in output. While I will miss being part of the Publications committee I still have 2-years to serve as a Trustee so will still be heavily involved in ALT. Today I spent most of the day working on guidance material for staff and students on Interpreting Turnitin’s Originality Reports. I don’t often get involved in producing support materials these days but it’s all hands on deck at this time of year as we are reviewing and updating a lot of material. The need for beefed-up originality report guidance is the introduction of a new policy which I have led on. We are trying to refocus the use of Turnitin as a tool to aid students develop their academic writing rather than it being seen and used purely as a tool to aid in the detection of plagiarism. Our new university-wide policy requires that all students be introduced to Turnitin early on in their course of study and have an opportunity to use it on draft submissions as a writing development activity. Today I appointed a student temp to work with us in the week before Semester 1 starts. She will primarily be helping us get our lecture recording system, UWL Replay , ready for the new academic year. All lectures in our 30 UWL Replay rooms are automatically recorded (unless the lecturer has opted-out). While the recording is automated, unfortunately the scheduling isn’t yet. There is a big campus re-development programme at the moment. This, coupled with the need to wait for the final version of the teaching timetable means the scheduling takes place just before teaching starts. Having an extra pair of hands during the busiest week of the year in terms of our day-to-day support will help a lot. The day ends with an email from the ALT office with all the joining instructions for this year’s ALT Conference. I’m really looking forward to it, particularly as it’s in Manchester where I went to university and home to the fabulous MCFC. I was not sure about this article by its title but actually I really enjoyed getting an insight to your work Matt. I found it refreshing to see how you juggle priorities and move forward your university’s use of technology in learning. Thanks, a good piece. 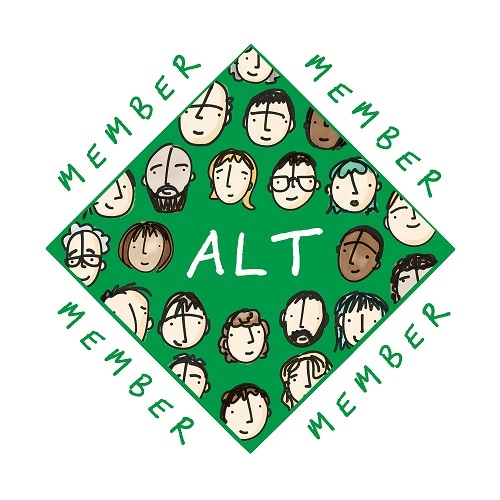 The #altc blog is published by the Association for Learning Technology (ALT). The text is licensed under a Creative Commons Attribution 4.0 International License and unless otherwise indicated articles are © their author(s) .